The director of photography became the first Indian to be chosen for the 2019 Angenieux Special Encouragement at the Pierre Angenieux ExcelLens in Cinematography ceremony at Festival de Cannes. 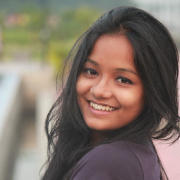 Young cinematographer from Kolkata, Modhura Palit has become the first Indian to be chosen for the 2019 Angenieux Special Encouragement at the Pierre Angenieux ExcelLens in Cinematography ceremony at Festival de Cannes. She has been selected in a "programme designed for freshly graduated candidates with upto one to three years of independent experience". The award has recently started a new section to encourage young, aspiring cinematographers around the world. Chinese cinematographer Cecile Zhang became the first recipient of the prestigious award. Palit, being the second selection, will receive the award on 24 May this year. Palit, an alumnus of Satyajit Ray Film and Television Institute in Kolkata, has worked in critically acclaimed features, including Ami O Monohor (2018), The Paper Boy, Watchmaker and various other significant works. 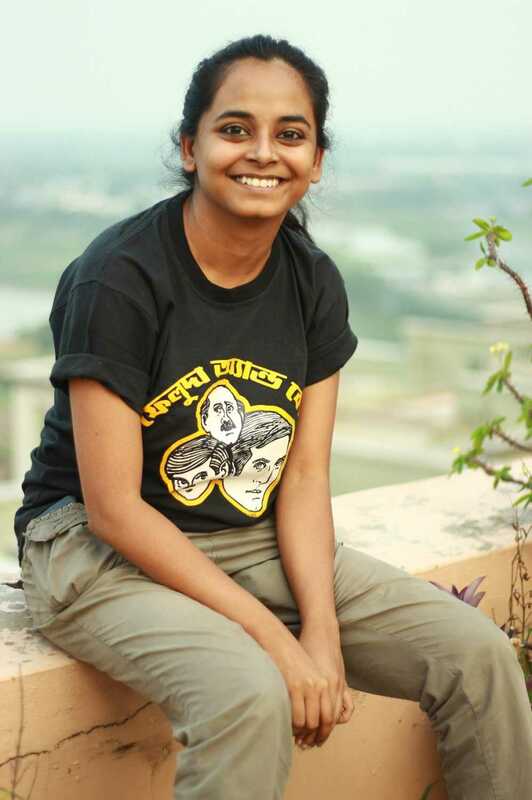 An active part of the Indian Women Cinematographers’ Collective, Palit is ecstatic to receive the recognition within such a short span of her career. 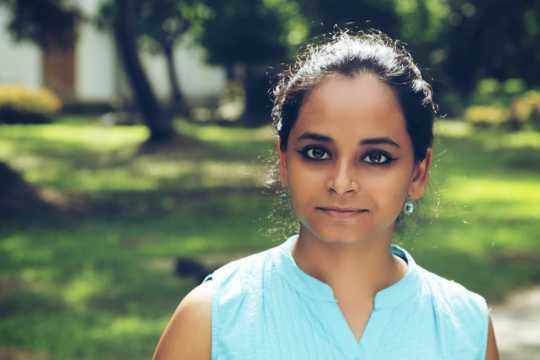 In a candid interview with Cinestaan.com, she shared her journey so far and discussed how she plans to work further after receiving the special recognition. How did you start your journey as a cinematographer? I was used to filming and all as my parents are art-photographers. Then I really got interested in cinematography when I was doing my course in mass communication and video production in St Xaviers College (Kolkata) where we had an edit set-up in the studio. We would do small lighting set up and shoot. It was during that time I realised that I really enjoyed that activity and wanted to do more. Those were the days when I had the adrenaline rush thinking what to do next. I felt that this was what I wanted to do for the rest of my life. Then I enrolled for the specialisation course in cinematography at the Satyajit Ray Film and Television Institute. When did you start working professionally? I started working professionally nearly two years ago, after I passed out from the institute. I did not want to assist anybody full-time because I took the decision of not assisting anybody and to work independently. The first independent feature that I shot was Ami O Monohor, which received the Best Debut Feature Film award at the Kerala Film Festival last year. Then I gradually worked for Aniket Mitra’s The Paper Boy, Anindya Pulak Bandopadhyay’s Watchmaker and various other corporate films. Slowly things started falling into place. I also shot an Indo-British VR project which is still stuck in [the] post-production [stage] and is it yet to be out. It was one of the first VR projects to happen in India, but it did not release on time. How did you get involved in these projects? See, the whole industry works on networks. You will just have to know the right people and make sure your name is there. I got recommended for the VR project by some of my friends through word-of-mouth and then they called me for the project. We shot in a studio in the outskirts of Kolkata. How does it feel to be recognised internationally within such a short span of your career? I did not believe it to be true. When I first got the email I thought it to be a spam like all those push messages of winning million dollars! I was very sceptical about it because the recognition is huge and it came out of nowhere. I was really shocked. It took me a lot of time to sink in the feeling, to believe that it has actually happened. Yes, it is one of the most memorable things to have happened to me and I am quite numbed by all the happiness. I am quite overwhelmed actually. How did they assess your work and choose you for the award? This is not for any particular project nor did I apply for it. Honestly, I hardly had any idea about it. I am a part of Indian Women Cinematographers’ Collective and we also have a website where all our work is put up. They went to the website and scanned through and found my work. They liked my work and decided to bestow this award. I have no idea and in fact, I am planning to ask them the same question. However, though it has not been a long career, but just the beginning, I have always tried to approach every work with a lot of honesty and give my best shot as the industry is extremely volatile and unpredictable and I am never sure whether I am going to get a project next. I think they could figure out that I was trying to do something different and do something out of the box from the limited source they had. I presume that my honesty towards my vision clicked with them. At least, I hope so. Can you please discuss how do you work or how you approach shooting a film? I don’t like to leave a signature and I believe that there shouldn’t be a cinematographer’s signature per se. I feel every story is different and it has to be told in different ways. The camerawork has to be in sync and an organic process of developing the story. Our camerawork should not stand out, but carry the story forward because we are technicians and craftsmen. Our job is to make a director’s vision transcend on a different level and to make it work and execute it. It is not an area to show my own work and leave the rest of it - it is collaborative work. I try to be true to the story and have the director’s vision executed as much as possible the way he or she wants it and also, add my inputs. I believe an image should be soothing to the eyes, having wholesomeness in its frame. I try to capture the small moments and the essence of the story more than anything else. Are you very choosy about taking up projects? No, I am not choosy and I rather love to do whatever comes my way as long as it connects with me. I like doing thrillers, slice of life stories and also experimental work, because each and every genre requires a different type of camerawork. I would love to cover as many genres as I can. I don’t want to restrict myself. You recently mentioned in an interview that you want to match up to the international standards while working. How do you attempt that? See, now the audience is open to various kinds of work. A viewer’s way of looking at an image has changed. It’s not the typical perspective anymore. There are so many platforms in which amazing works are being done. Everyday new kind of visuals are coming up and people have access to them; hence, they are getting used to looking at new works. I have to try and match that, otherwise nobody will notice me. If my work doesn’t offer anything new, people might like it for the moment, but will eventually forget it. See, we as artistes can only endeavour to have our work remembered. We are not going to be there, but the films or our work will stay there 10 years down the line. Our bests and worsts are always recorded. Therefore, I strive towards doing work that can make the headlines and also remain in people’s hearts. Who are the cinematographers that inspire you and if you could name any recent work that you really enjoyed? Oh yes, there are so many! There is Subrata Mitra, Abhik Mukhopadhyay, Shirsha Roy, Santosh Sivan, and also Chirstopher Doyle. Alfons Cuaron, Roger Dickens and so many others to look up to. They all have very distinctive styles of camerawork. I think, right now I will be happy to even capture one or two frames from their body of work and later, eventually aspire to work like them. They have inspired me with their own language of cameraworks. Recently, I really enjoyed Pankaj Kumar’s work in Tumbadd and the way he shot the film.